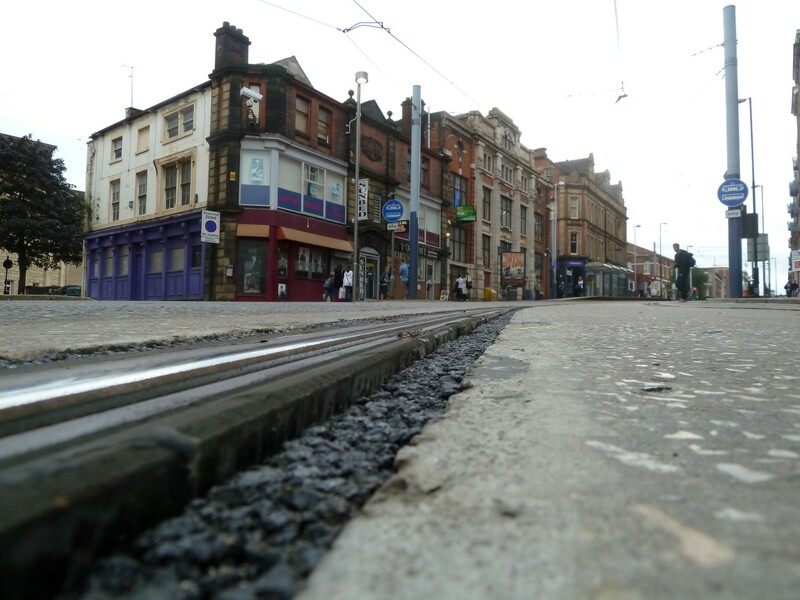 A few weeks ago I wrote a post about the dangers posed to cycling from tram tracks. 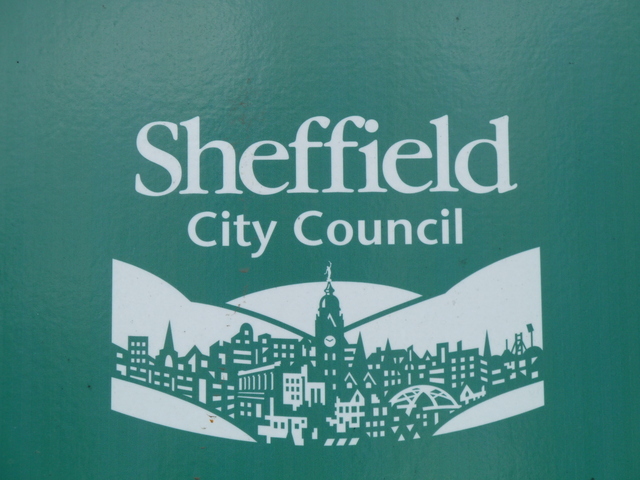 I quoted from a Sheffield Council investigation into the safety of cycling around tram tracks. 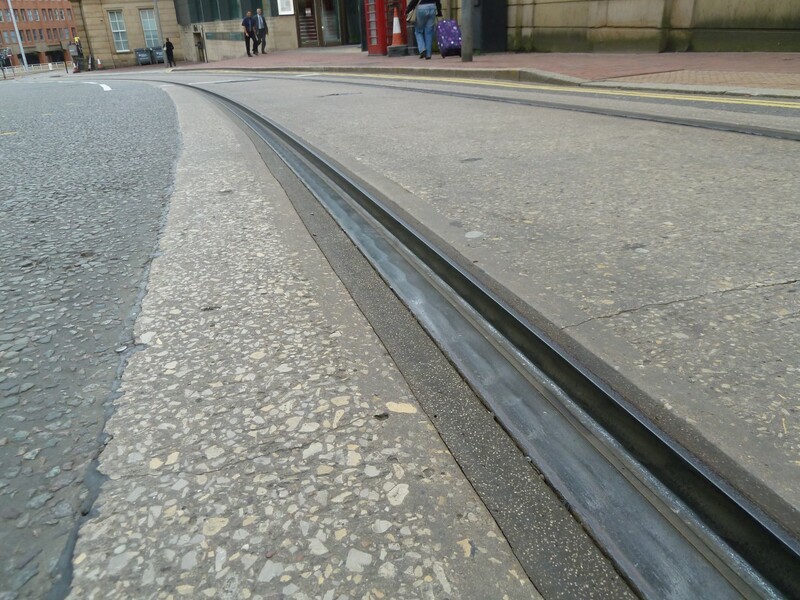 The report mentions the need for good quality road surfaces around tram lines. 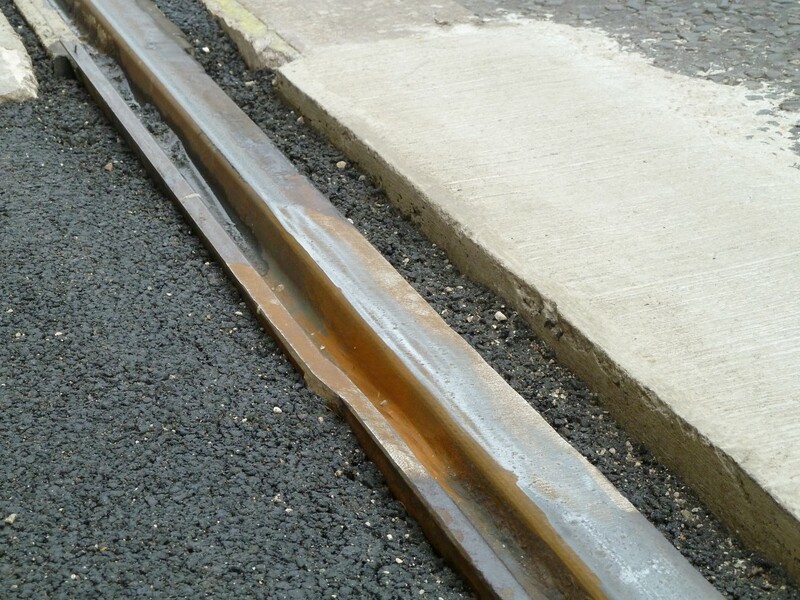 In most documents regarding on-street cycle lanes it is specifically recommended that maintenance of the surface should be of primary importance, as cyclists are particularly sensitive to the quality of a road surface. 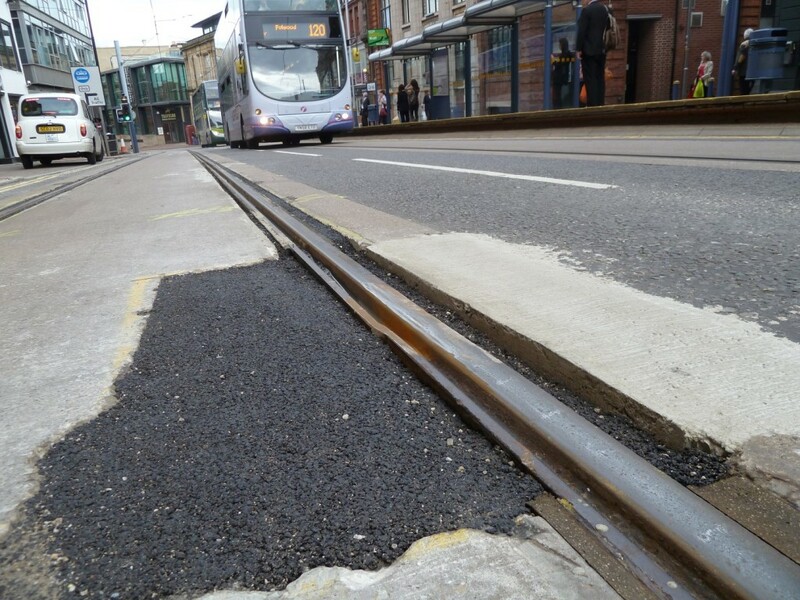 Whilst in practice this is rarely implemented due to financial constraints, throughout the tram route the road has been remade and the surface re-laid and so is generally in good condition and can be expected to remain so for a number of years to come. 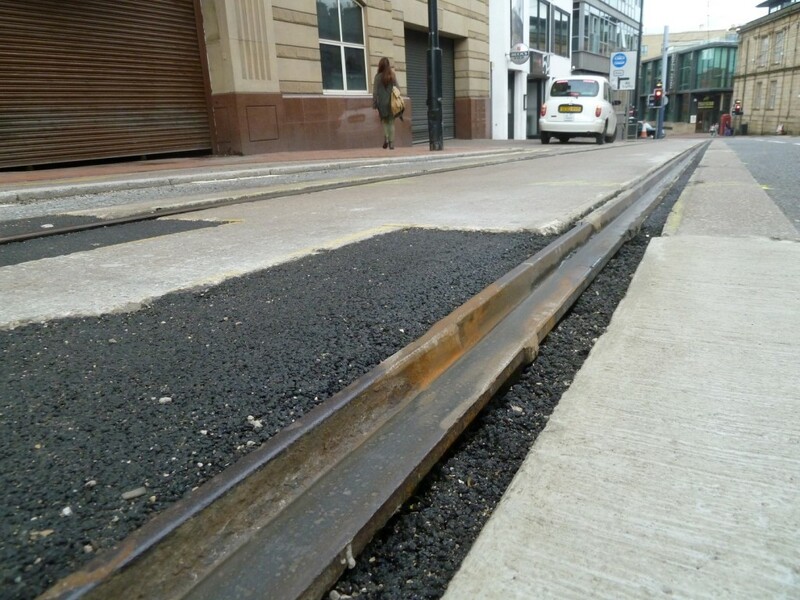 The rails have recently been being replaced in on street sections, this is what the on road tram tracks look like today on West Street in Sheffield City Centre. 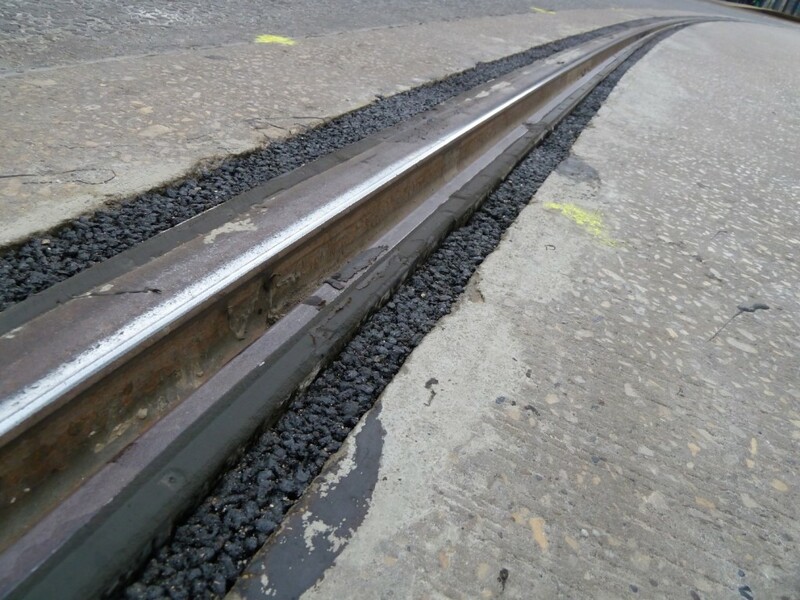 The tram tracks should look like this. 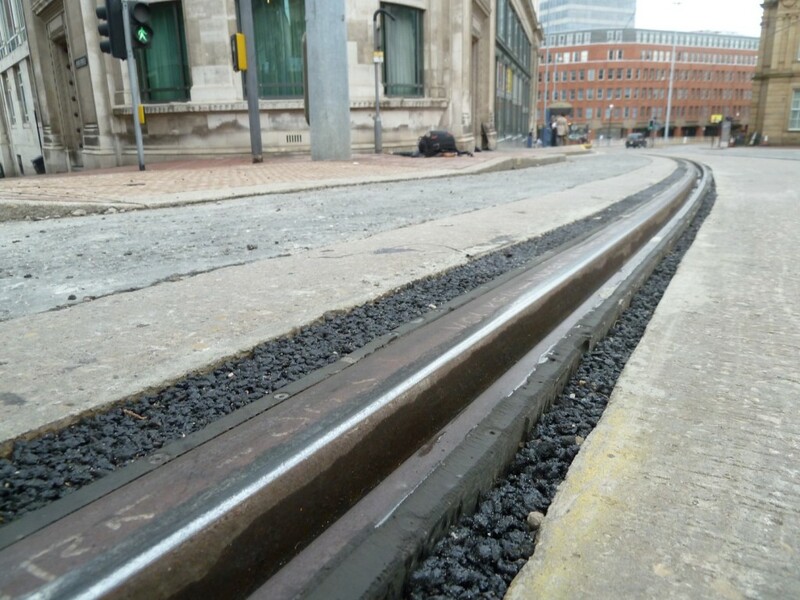 It is now extremely dangerous to cycle around these tram tracks. 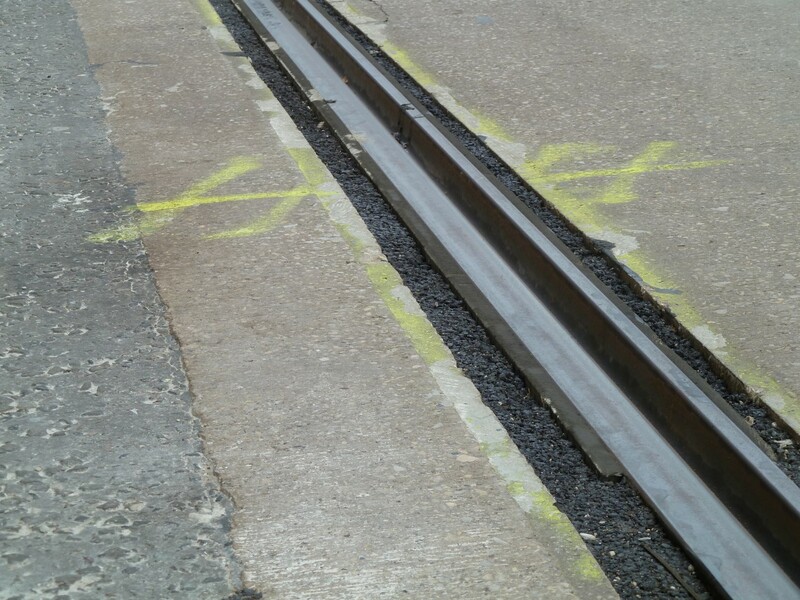 There are now huge grooves running in the direction of travel parallel to the tram tracks. When cyclists comes across these they will be in serious danger. Who is responsible? All of the companies charged with maintaining our roads. 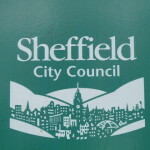 Stagecoach Supertram, South Yorkshirie Passenger Transport Executive, South Yorkshire Integrated Transport Authority and Sheffield City Council. All the responsible authorities should be ashamed of themselves for taking this insane risk with the safety of anyone who cycles along this road. This entry was posted in tram, Uncategorized on August 5, 2013 by Matt.